Vaadin is an open-source Java web application framework for building modern, broswer-centric web applications that look great as well as have great performance. It is one of the best solutios for creating rich and interactive applications that run in the browser ,without any plugins. 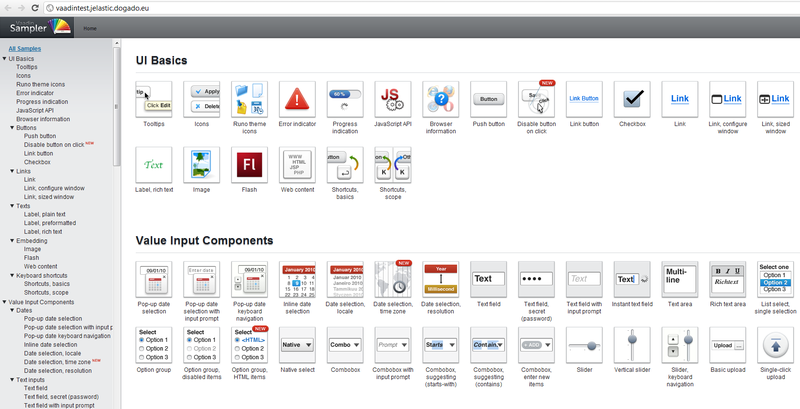 No HTML, XML or Java Script is neccesasry, and all of the Java libraries and tools are at your disposal. One of the main differences between Vaadin and other web frameworks is that it is designed to be used to build applications, not just websites, giving it much more power than other frameworks. 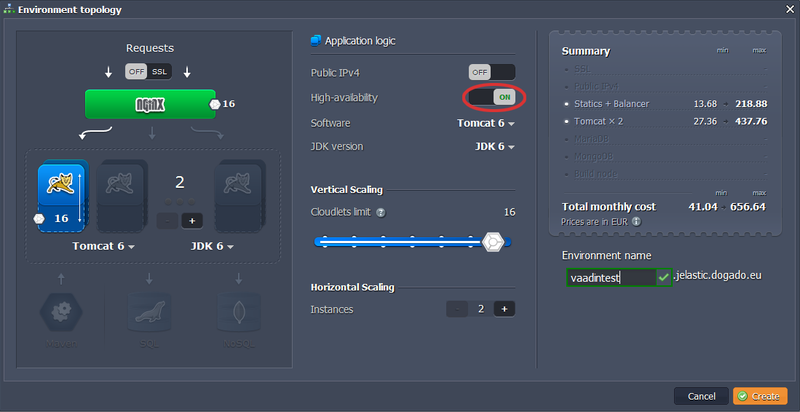 So, now that you know that you need to try Vaadin out, let’s show you how easy it is to get it up and running on the Jelastic cloud! 3. In the Environment Topology dialog, pick your application server (for example, Tomcat 6). Turn on HA (Hight Avaliability) to provide clustering and sticky sessions. Vaadin requires sticky sessions to work properly in a cluster environment. NGINX load balancer is automatically activated after turning on HA. Then type your environment name, for example, vaadintest. Notice: HA feature is available only for paid Jelastic’s users. 1. 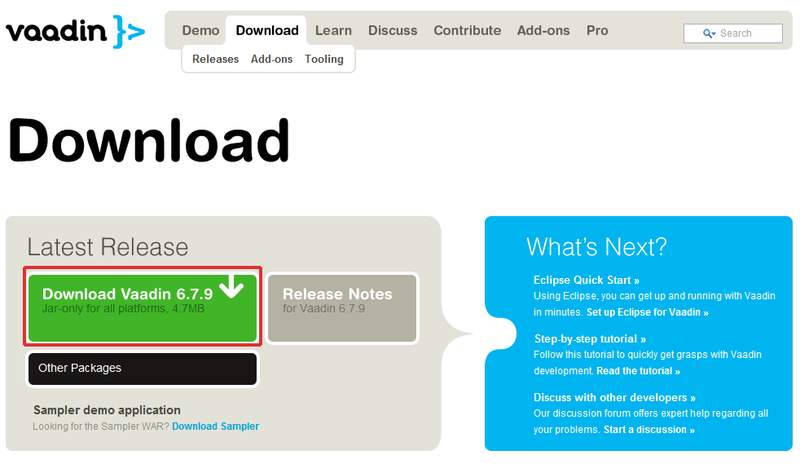 Navigate to vaadin.com and download the latest version of Vaadin as a jar file. 2. 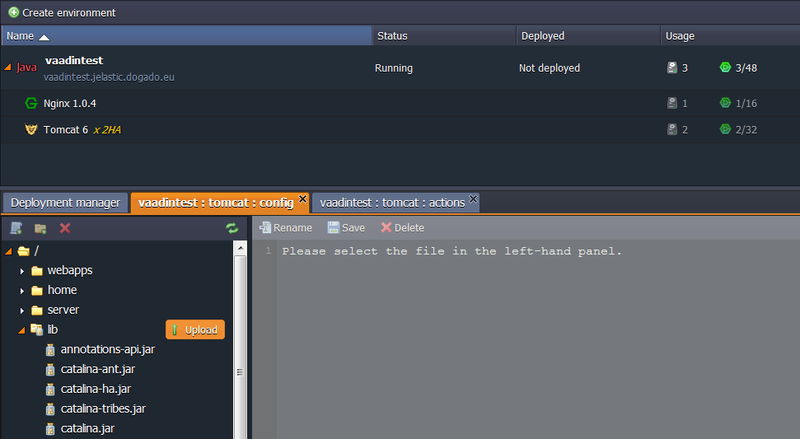 Go back to Jelastic dashboard, click config button for Tomcat and upload vaadin.jar to the lib folder. 4. Upload your .war package to the Deployment manager (we use Vaadin sampler demo application as an example). 5. Once the package is in Jelastic, deploy it to the environment you have just created. Now you can open your app in a web browser and enjoy. You can see Vaadin’s blog post here.